This feature was one of a series of articles written by Nigel during a visit to Azerbaijan and Kazakhstan in 2006. The reports were carried on BBC Radio Four’s From Our Own Correspondent programme, as well as three national newspapers, one regional newspaper and Lloyds List. 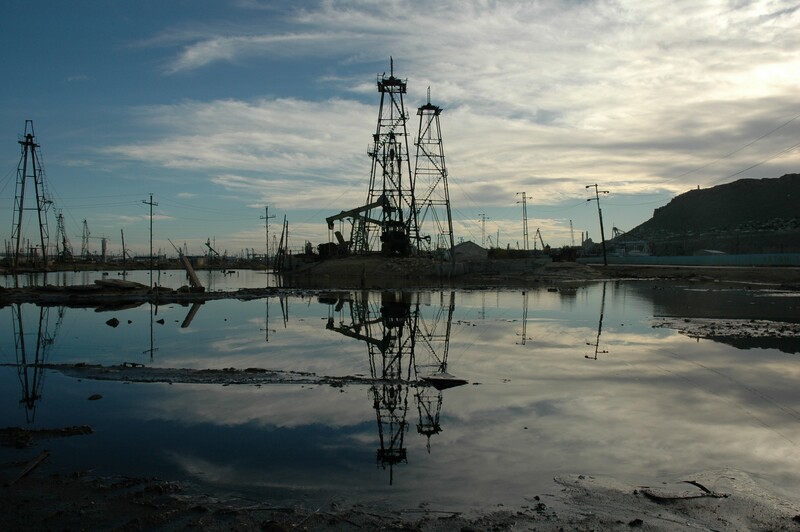 The ancient oilfields near Baku. AS we drove out of the city, I was warned that the sights I was about to see would not be pleasant. I had been in Baku for three days and had spent most of my time seeing the way the capital of Azerbaijan was growing due to the booming oil industry. Gleaming marble squares, presidential palaces, new shops packed with western designer goods and even British bars that now cater for the hundreds of oil workers, including dozens from the North East. It was in one such pub, run by a Middlesbrough oil worker, that I had been told about the other, less-pleasant side of Azerbaijan….the orphanages that are home to hundreds of abandoned children. When he is not helping build oil and gas platforms for the Caspian Sea, engineer Terry Robinson runs The Garage bar. The 42-year-old, from Brambles Farm, has used the bar to raise more than £100,000 for a range of good causes, including Saray Orphanage. Terry works alongside his brother Craig, 38, and their cousin Mick Connelly, 43. 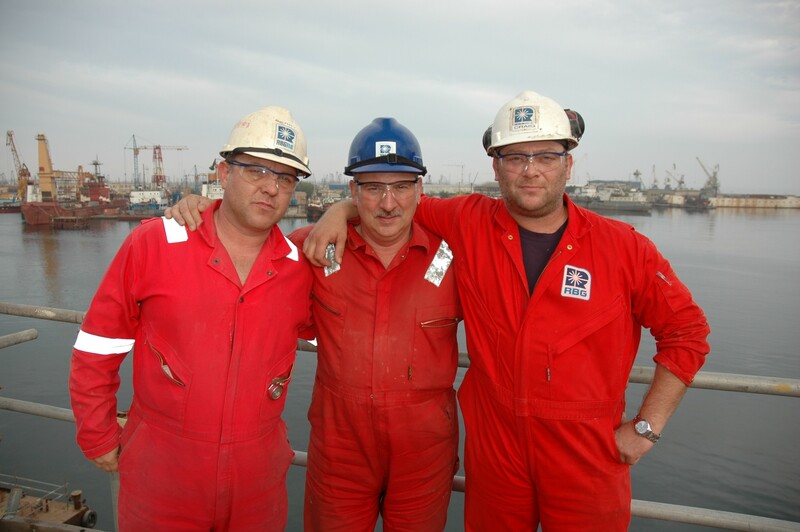 These three men are among the many who have been lured to Azerbaijan by the promise of big wages. A typical welder can earn nearly £60,000 – more than double what he would earn in the UK – and the money is tax-free. But Terry and his pals are sick of British oil workers being portrayed as greedy, drunken characters chasing local women. He was keen to show how hard he and his colleagues work and how many have used their precious spare time to renovate the orphanage. Children in Saray orphanage. Because he was busy working, Terry was unable to take me to the orphanage. Instead, he arranged for his friend and fellow oil worker Akif Askerov to drive me out to Saray. Despite living in Baku all of his life, Akif speaks good English. But, strangely, because he has spent so long hanging around with Terry and his pals, Akif speaks with a strong Teesside accent. As we drove the 15 miles from Baku to the orphanage, we chatted about the dramatic changes taking place in Azerbaijan. Once at Saray, as we pulled up outside the large, white, four-storey building, we were mobbed by dozens of youngsters – all clearly disabled. However, as we were soon to discover, these children were the more fortunate ones. They were healthy enough to be able to leave the building on their own. Inside the orphanage, I was shown the ones that were not so “lucky”. They included one boy, whose arms were strapped around his body with a sheet. Serkhan Valeh is thirteen years old and yet he is unable to speak other than to make groaning noises. The nurse in charge of the orphanage tried to explain the home-made straight-jacket was needed to keep him safe. Rahila Hasinova told how Serkhan, who suffers from cerebral palsy, would hurt himself if his arms were allowed to go free. 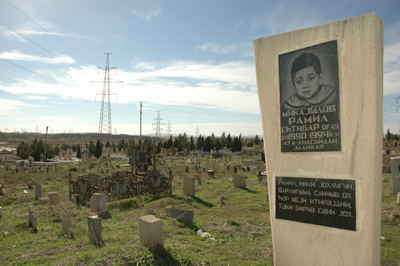 A children’s cemetery near Sumqayit. The other children laughed and screamed hysterically, with some rocking backwards and forwards as Rahila tried to calm them down. These are just some of the 160 children in Saray Orphanage, in Azerbaijan. Rahila told how the building, which has 22 rooms, was built in 1974 after concerns about the high number of children being born with conditions like cerebral palsy, spina bifida and Down’s sydrome. While the staff work hard to care for the orphans, the children sleep eight to a room and there is a strong smell of urine. Some are unable to walk and have to use their arms to drag themselves along the floors. 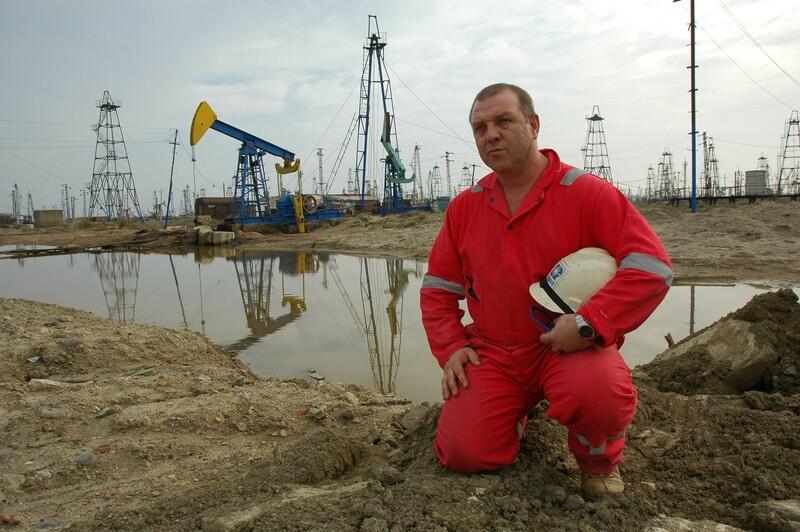 The economy of Azerbaijan may have grown 34 per cent last year, thanks largely to a consortium of oil companies investing £10 billion. But, behind the country’s new-found wealth, these children are the apparent victims of the old, Soviet chemical industry. For, according to scientists, these children were born brain-damaged due to the appalling pollution. Most of the children are from the nearby town of Sumqayit, which stands on the shores of the Caspian Sea. Sumqayit was once the biggest petro-chemical centre in the Soviet Union. It was built on the orders of Stalin in the 1930s and increased from a population of just 6,000 to around 350,000. The collapse of the Soviet Union and the country’s independence in 1991 opened Sumqayit to the outside world and environmentalists revealed the high levels of pollution. In 1992, the government of Azerbaijan declared Sumqayit “an ecological disaster zone”. Terry Robinson, Mick Connelly and Craig Robinson. In 2004, a report by Azerbaijan’s Ministry of Health claimed 30 out of every 1,000 children in Sumqayit were born with defects. Of those, three had Down’s syndrome; around three times the rate of Britain. The World Health Organisation has tried to establish a more definite link between the pollution levels and the health of people living in Sumqayit. One report estimated there were 200,000 tonnes of “mercury sludge” dumped around Sumqayit. The report claimed mercury, which had been used to help make chemicals, may have leaked into water supplies. WHO scientists pointed out that mercury poisoning can damage babies in the womb. Rahila, who has worked at the home for 23 years, earns just £20-a-month. She said: “I cannot say for sure why they are ill but many people say it is because of the pollution."